The National Kaohsiung Center for the Arts (Weiwuying) officially opened on Oct. 13, ushering in a new chapter in Taiwan's performing arts history. 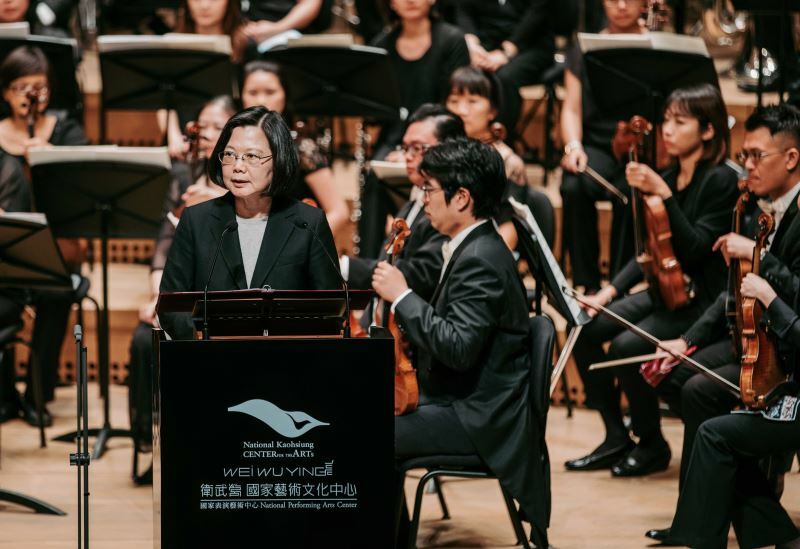 The opening day included both an opening ceremony and the first official performance at the center's vineyard-style concert hall, the only one of its type in Taiwan. 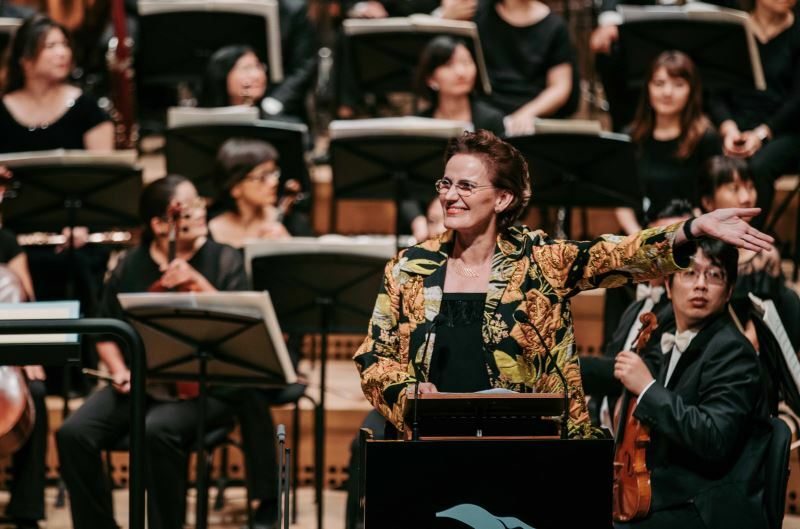 President Tsai Ing-wen, Secretary-General to the President Chen Chu, Minister of Culture Cheng Li-chun, and Mecanoo Creative Director Francine Houben were among the local and foreign guests present to celebrate the birth of the largest performing arts space in Taiwan. Weiwuying will be southern Taiwan's flagship arts space, not only providing a platform for artistic exchange, but also a stage for the voices of the people. 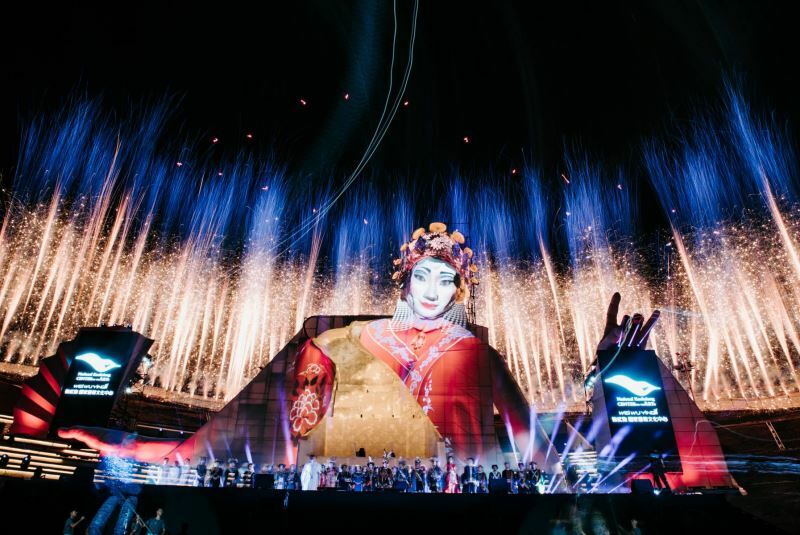 A perfect performance space for both Taiwanese and international groups, Weiwuying is expected to inspire new creative energies across all walks of life, offering a rich and diverse program of performances that will help initiate members of the public into the fascinating world of the performing arts. The center's artistic director Chien Wen-pin remarked that "The National Kaohsiung Center for the Arts is the crystallization of the intelligence and strength of Taiwan’s people, and we hope it will become an art center for the people — that it will become your Weiwuying. We want Weiwuying to become part of people's everyday lives, somewhere the public can just walk into and have the performing arts join their lives." Minister Cheng added, "The opening of Weiwuying marks the final stage in creating national-level performing arts spaces in northern, central, and southern Taiwan, with Taipei having the National Theater and Concert Hall, Taichung's National Taichung Theater, and now, Kaohsiung has Weiwuying. 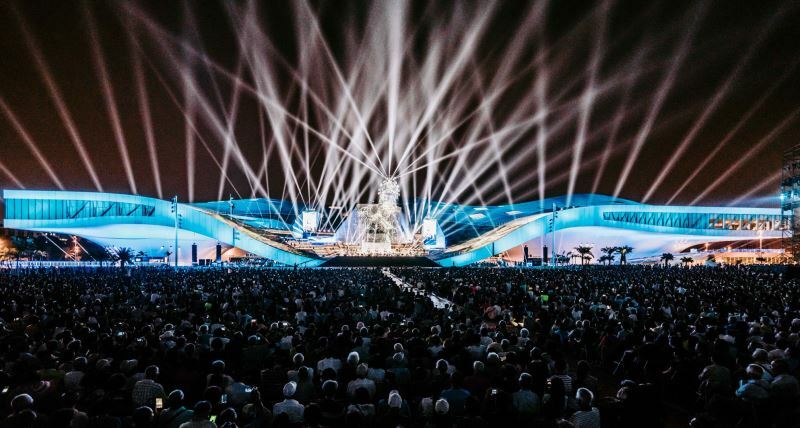 From now on, the people of southern Taiwan will no longer have to take a long trip elsewhere to enjoy world-class performances." 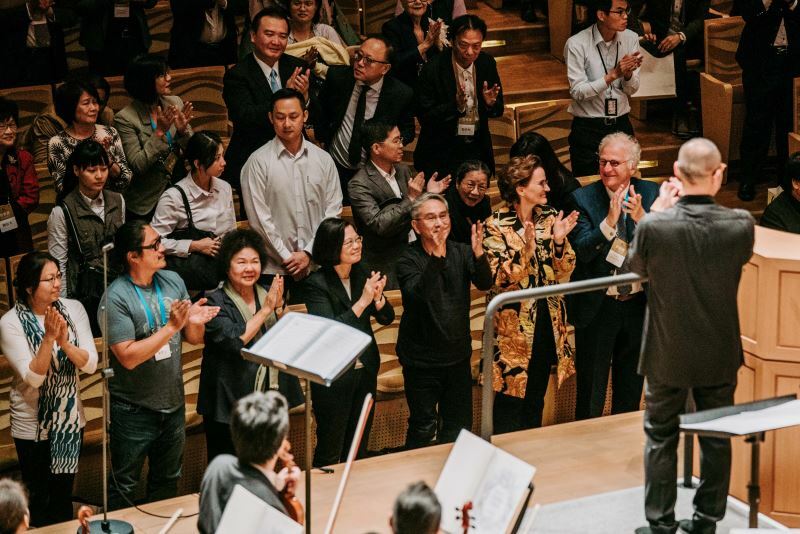 "The Ministry of Culture will also be taking active measures to support this, with next year's budget for national performing arts reaching a new high of NT$1.76 billion. We look forward to seeing Weiwuying lead Taiwan's performing arts out to the world stage and standing alongside the best," she added. The National Kaohsiung Center for the Arts (Weiwuying) is Taiwan's largest theater complex at 141,000 square meters. Four indoor stages offer a total capacity of 6,000: Opera house (2,260 seats), Concert Hall (2,000 seats), Playhouse (1,250 seats), Recital Hall (470 seats), and an amphitheater (1,000 seats). 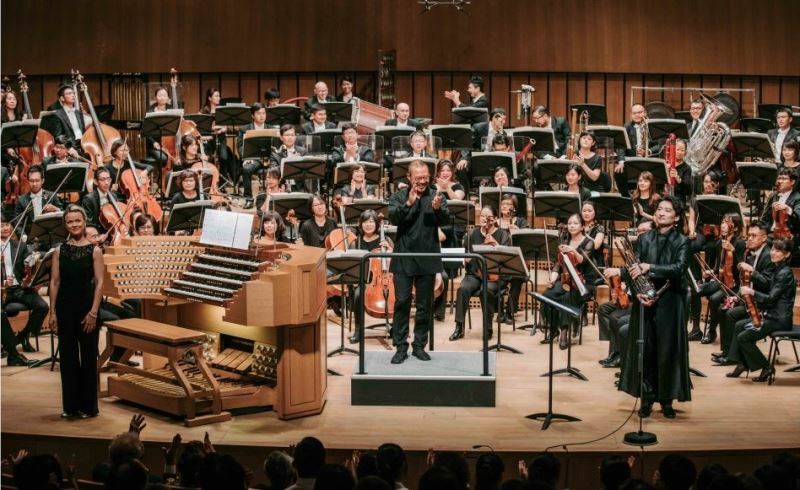 Its transformation from a military training base to an international cultural center and home to Asia's largest pipe organ stands testimony to the advancement of Taiwan's democratic and artistic trajectory. The vast expanse of land started as a military training and recruitment base in the 1950s, but fell into disuse until the government decided to revitalize the mammoth site in 2003. An international architecture competition was held to solicit global talent, and Dutch firm Mecanoo Architecten acquired the design and construction rights in an intensely challenging final round that saw 44 multinational bids in 2007. Mecanoo Creative Director Francine Houben's design concept was inspired by the lush banyan trees growing in the nearby 50-hectare Weiwuying Park. The play of light as it shines through banyan leaves and century-old tree trunks gave rise to a vision of "organic architecture," in which public space breaths in sync with the outdoor activities of its citizens. Architectural highlights include a seamless blend of interior and exterior space, achieved by towering, curvaceous walls; fully automated stages that can be configured into prosceniums, or thrust stages; an amphitheater facing the sunset; a vineyard-style auditorium with serried rows; and a 9,085-pipe organ made by German firm Johannes Klais Orgelbau. Operations of the National Kaohsiung Center for the Arts have been transferred to the National Performing Arts Center (NPAC), an administrative corporation responsible for the structural upgrade of the arts education and cultural environment in Taiwan. Under NPAC, Kaohsiung's Weiwuying joins the National Theater and Concert Hall in northern Taiwan and the National Taichung Theater in central Taiwan as a triad of world-class performance centers aimed at strengthening the caliber of performing arts in Taiwan. A virtual tour of its architectural grandeur is available here. Mecanoo Creative Director Francine Houben. Visitors Today:44. All Time Visitors:1,229,851.